As we race into the new year, we are looking forward to what the future will bring the manufacturing industry, and it’s large in part to amazing technological advances like precision springs. But we never forget the past. The concept and application of a mechanical spring is something that truly changed the world, which is why we are taking a moment today to illuminate how this wonderful little piece of metal brought about so many great things for industrialized society. Would you believe that the ancient Egyptians used springs? While they weren’t like the compression springs we use today, very early models of leaf springs were used as far back as the ancient Egypt, where they were used as a type of suspension for chariots and in siege weapons like catapults. This type (at least much more advanced versions) of spring is still used in wheeled vehicles today. Technically, springs were used earlier (a bow is essentially a spring that projects an arrow), but ancient Egypt is the first known instance of a spring being a part of something greater, not the object itself. It is also known that Leonardo Da Vinci used a type of spring to revolutionize the pistol in 1493, making the weapon possible to be fired using only one hand. Coil springs, the springs we are all familiar with, were likely in primitive use before the 18th century, but they were first “officially” created by British inventor R. Tradewell in 1763, who filed a patent for his new design. This design was later upgraded with steel in 1857 and was used in upholstered chairs. Springs are fantastic little pieces of hardware because of how they automate tasks. The way they deflect and recover makes them absolutely crucial to so many of the products that we use today. But we don’t have to tell you that; you know precisely which products and applications you need to use springs for, and we are here to deliver them! At The Yost Superior Co., we have been manufacturing quality precision springs for more than a generation. 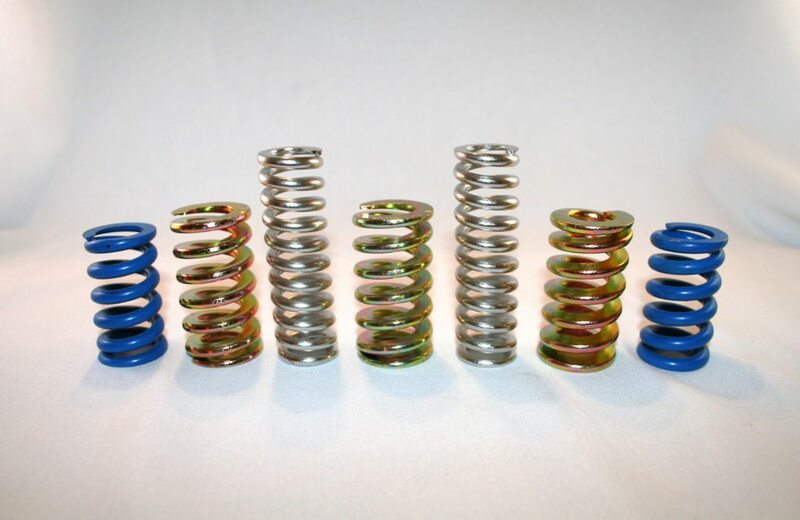 Need custom springs for your application, reach out to us and let us know what you need. We will provide you with a quote, free of charge.